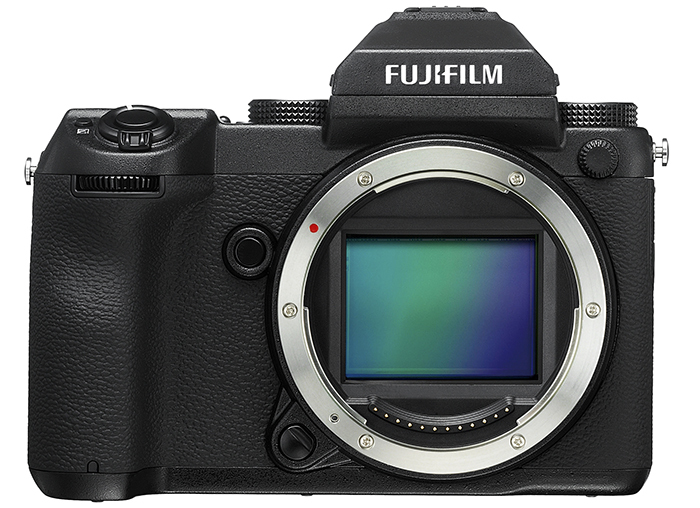 Fujifilm has just announced their new G Series products, including a new medium format mirrorless camera, lenses and many different accessories. 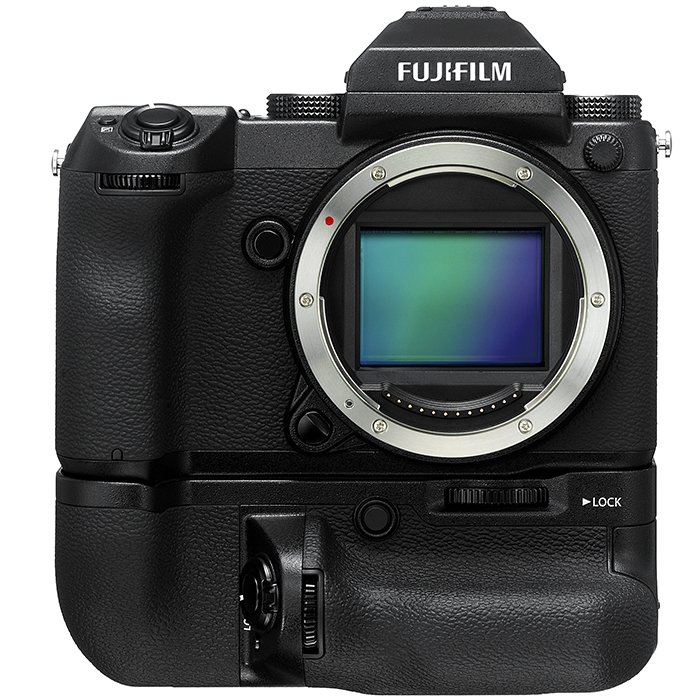 Fujifilm has recently announced their upcoming G series, their medium format cameras, specifically the GFX 50S Mirrorless Camera. 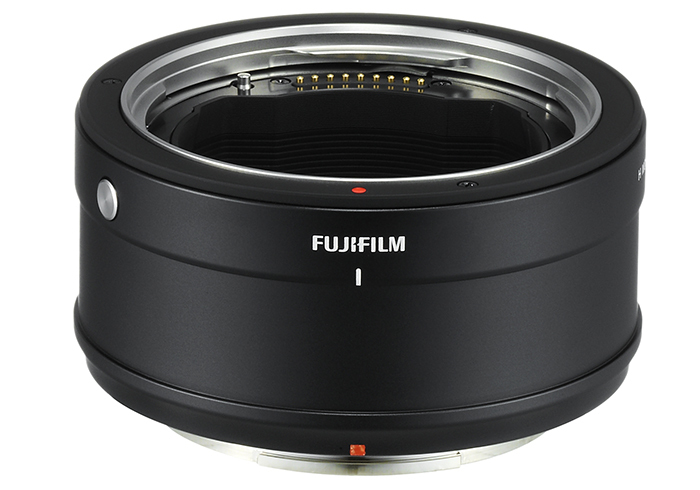 Along with the camera, they have also announced a few lenses and accessories. 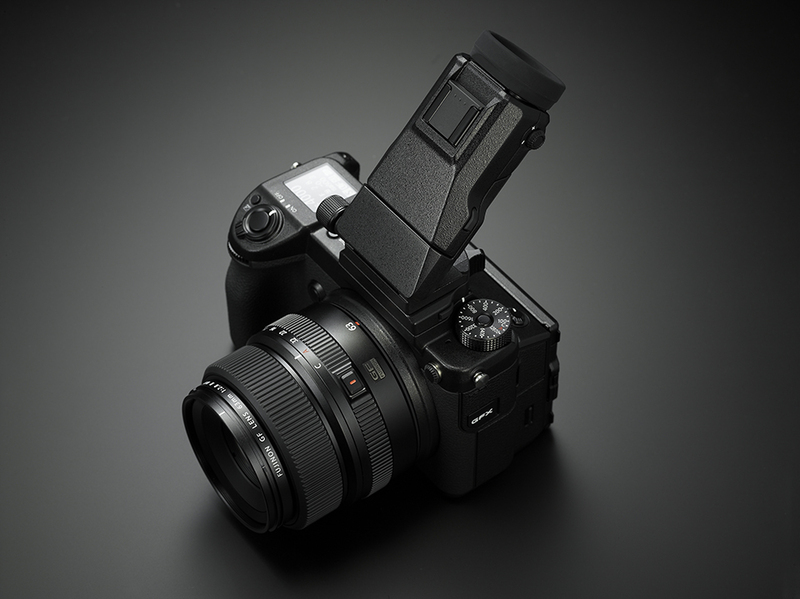 The GFX 50S is packed with power to its small body with its mirrorless design. It only weighs 2.7 lb, including the 63mm f/2.8 lens, battery, and memory card. Buttons and dials are well placed. The camera also offers dedicated buttons and dials for pertinent controls for setting such as shutter speed, ISO and aperture. The camera has a small LCD monitor which would show exposure data, this is very helpful so that the photographer would not need to check the information on the rear screen. The camera utilizes a large 43.8 x 32.9mm 51.4MP CMOS image sensor and X-Processing Pro to produces excellent image quality with reduced noise and outstanding dynamic range. Its ISO sensitivity ranges from 100-12800 and can be expanded up to 102400 with aspect ratio of 4:3, 3:2, 16:9, 1:1, 65:24, 5:4, and 7:6. 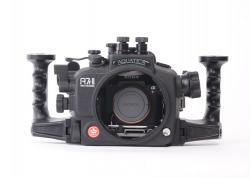 Its autofocus features, 117-point contrast-detection system, which can be adjusted to 425 points if needed and has a dedicated focus lever as well. Its touchscreen monitor can also be used to focus. For thee video features of the camera, it uses a Full HD video recording at 29.97p, 25p, 24p, and 23.98, and Film Simulation modes can be used during video to limit the amount of post processing. The X-Processing Pro also includes the new Color Chrome effect. For photos, multiple file formats are available with 3 levels of JPEG compression and also produce TIFF files using in-camera raw development. One of the cameras interesting feature is its 0.5" OLED electronic viewfinder. Aside from having a high resolution (3.69m dots) it also slides the hot shoe. The viewfinder has its own hot shoe as well for flash. 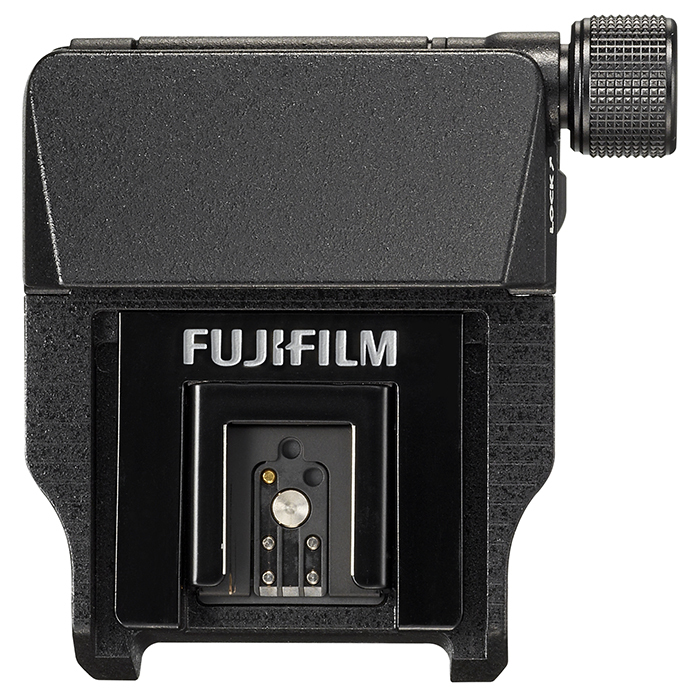 Fujifilm will also be offering an optional EVF-TL1 Tilt Adapter for the photographer to do vertical and horizontal adjustments to the viewfinder. For the photographers who likes to use flash, both hot shoe and a PC sync port can be utilized with a flash sync speed of up to 1/125 second with the built-in focal plane shutter. 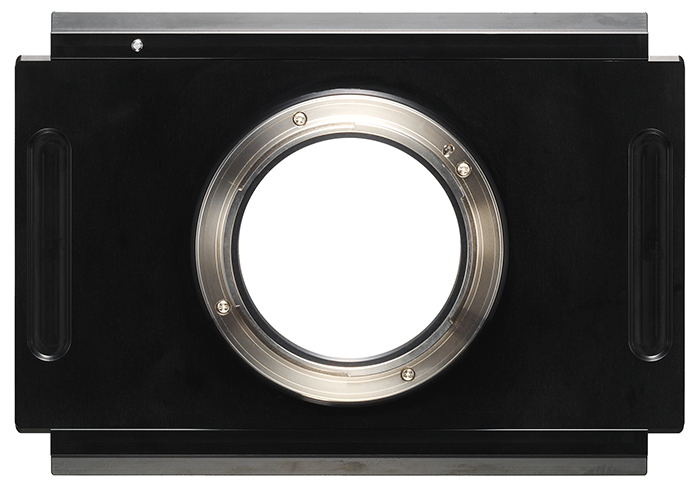 Other features include weather, dust and freeze proofing (can operate at temperatures as low as 14°F). It also has Dual UHS-II SD card slots for fast saving. It also offers different options for saving such as sequential (when one card is full, it automatically saves to the other card), backup (which saves on both cards) and sorting (saves JPEGs to one card and RAW to the other card). The GFX 50S is capable of advanced tethering over USB to a computer. 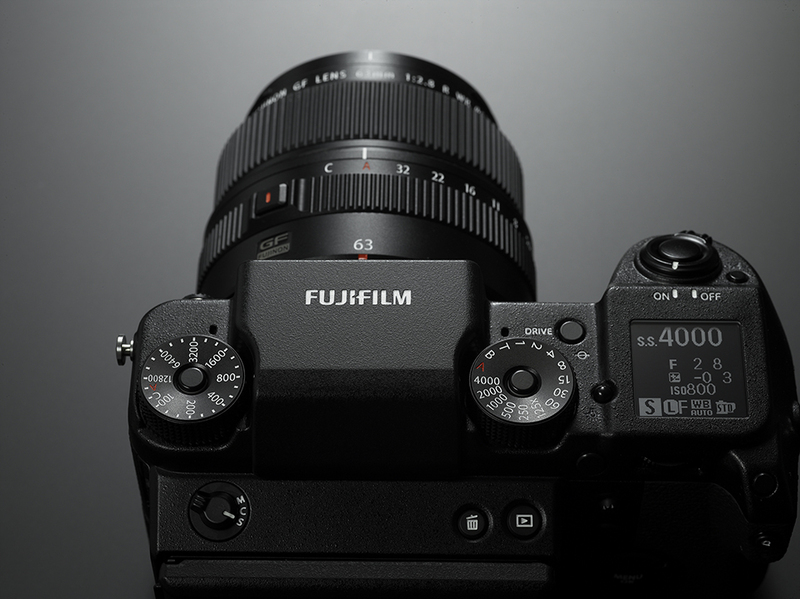 Aside from the GFX 50S camera, Fujifilm is also releasing thier GF lens series. 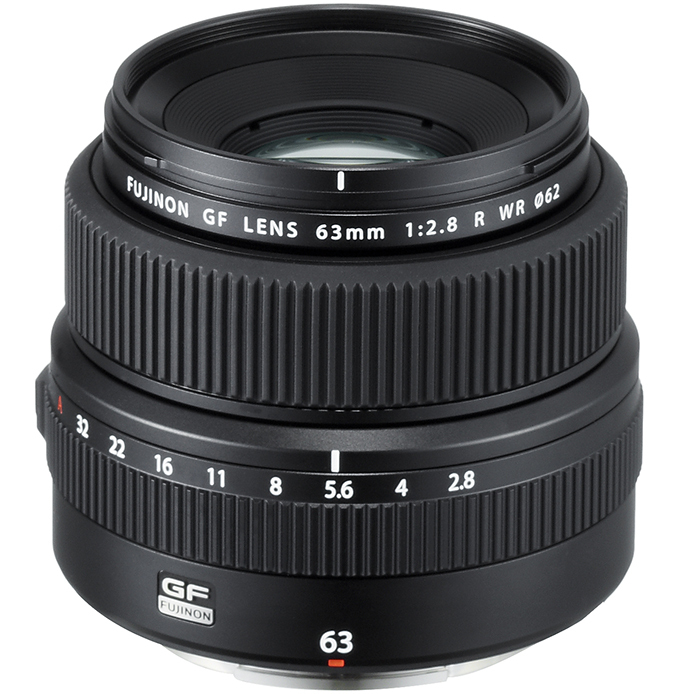 All lenses from the GF series features a flange distance of 26.7mm, helping reduce back focus distance for minimizing vignetting and maximizing edge-to-edge sharpness. Lenses are also "future-proof" as it is designed to work with sensors that can have resolutons over 100MP. 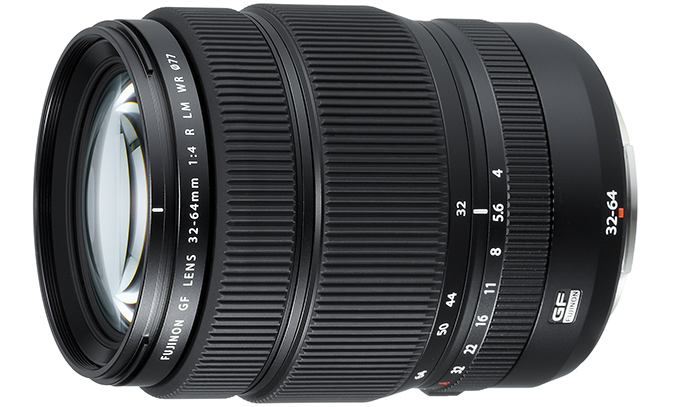 Other features of the lenses from these series include aperture rings with a Command position and Auto position, weather & freeze proofing, and a special coating on the front element to for waterproofing. Dimension: 3.3 x 2.8 in. Fitted with three ED elements into the 14 elements in 9-group construction.